AUSSIE RULES: In what was a brilliant night, BITS Saints Football Club has been awarded the best AFL club in Queensland. With Brisbane Lions stars Daniel Rich and Luke Hodge as well as ex-BITS junior and now AFLW Lions player Megan Hunt present, Saints president Andrew McMahon was presented with the AFL Queensland Alpha Sport Club of the Year 2018 Trophy. BITS is the first club from regional Queensland to win this award. "AFL Queensland asked me to come down to Brisbane to accept the award on October 5 at the AFLQ Awards Night," McMahon said. "I said that I didn't want to and I'd rather have someone come up and present it to the people because you guys are what the footy club is all about and not me." 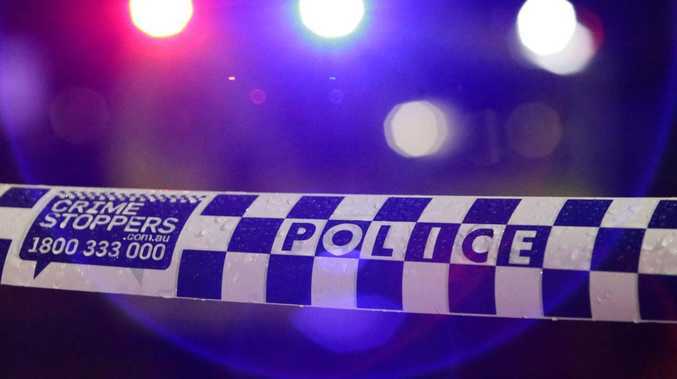 And that's exactly what had happened on Friday night at Yaralla Convention Centre, where the club held its black tie gala presentation night in which 138 people attended. "It's not just from the efforts of the committee but it's the efforts of everybody that's run water, cooked a snag or put a pop rivet in the shed," an emotional and proud McMahon said. "It's the efforts of everybody in our community to work together, to support each other and enjoy ourselves. "We just want to have fun and that's what our motto is and it's an awesome recognition for years of hard work." AFL Capricornia competition and club development manager Brad Matheson said the club worked to a plan. "The club has worked tirelessly to develop a strategic plan and over the past five years they have overseen over half a million dollars of projects being completed, most noticeably a lighting upgrade, female amenities upgrade and most recently the addition of a top-quality administration facility," he said on the AFL Queensland website. "The BITS Saints have continued community engagement through programs such as their BITS Backyard Blitz, Bella the Brave and raising awareness of men's mental health, exemplifying the culture within the club. "This culture is carried on to the field and is evident through in the depth in numbers within the club, from juniors right through to Friday night football ." AFL Queensland state football operations manager Barry Gibson said the Saints had made history. 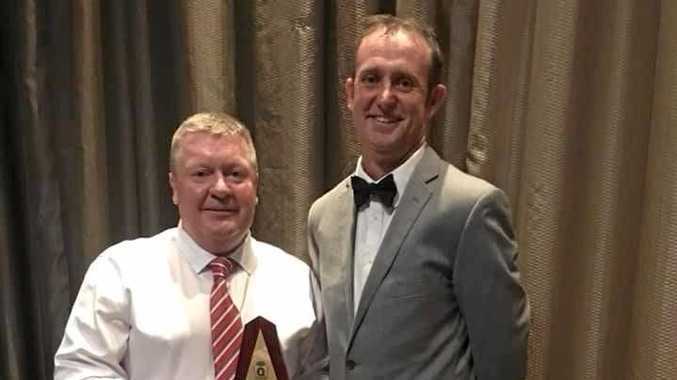 "The BITS Saints are the first-ever club outside Southeast Queensland to win the AFL Queensland Club of the Year," he said on the AFL Queensland website. "This is a terrific achievement and a recognition of not just the fantastic year the club has had but the culmination of a lot of hard work over a sustained period." 1. The club will be the leader in the community; 2. It's not only the preferred sport to play but the preferred club to join; 3. Loads of volunteers with enthusiasm and commitment to the club; 4. Best facilities in the region; 5. Big crowds and big outcomes for games. On Australia Day each year, the BITS Saints run a morning of BITS Backyard Blitz. They identify three families who need a hand in the local community. 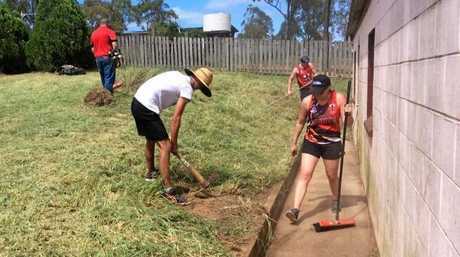 On Australia Day morning, tools, mowers and teams head out to lend a hand to those who are less fortunate. BITS players wore yellow arm bands as part of Cancer Awareness Month in the game against Rockhampton Brothers at BITS Oval. Veteran player Keith Bilston holds the day close to his heart because Bella Bates, at 13 months, was diagnosed with anaplastic ependymoma, an aggressive form of brain cancer in September 2016. Bella is the daughter of Bilston's wife Haley's best friend Robin Berthelsen and the now almost three-year-old is cancer free after eight brain surgeries and many rounds of chemotherapy. They day raised $2930 from the gate, donations and raffles. This event was centred around the club's annual $1000 Draw. The club bought BITS Saints beanies and donated the proceeds to the Movember Foundation. This year more than $3200 was raised. BITS Saints are driven to provide equality within their club. What they spend on the A-grade team is no different to what is spent on the under-9s. It's their goal to ensure all kids, parents, players, sponsors, life members and special guests have a positive experience.